Architect, Frank Ghery,( Canadian born Frank Owen Goldberg) is cited as one of the most important architects of our time. You are looking at the Guggenheim Museum in Bilbao, Spain. I visited Bilbao a few years ago. Upon entry, you feel like you just want to drop to your knees. The collage like structure with its combination of glass, steel, water, stone is just unbelievable. 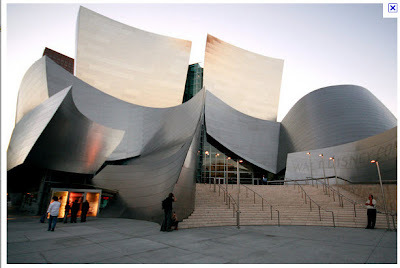 What is unique about the exterior are the squares of titanium which is referred to as the "skin" of the structure. It sits on the water. The squares that make up the building mimic the scales of a fish. The squares are not fastened at the bottom. If the wind blows, it forces itself up under the scales and you can see the scales shift and change colors just standing there. When Frank was a little boy, he built cities out of scraps of wood and was inspired by what he saw in his grandfather's hardware store. During the holiday, Passover, his grandmother would bring home a large carp and put it in the bathtub before she turned it into gefilte fish, which was part of the Passover meal. Ghery was mesmerized by the shape and movement of the fish and the way the scales shimmered as it swam. 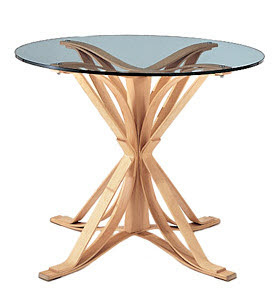 Thus began his inspiration to incorporate movement, texture, curves in his work. The buildings seem to defy gravity. His ability to create his structures comes from his innovative architectural software. Below are some of his other structures which are peppered around the world. Below we are looking at a close -up of one of his building at MIT in Massachusetts. This is a full shot of the same building. 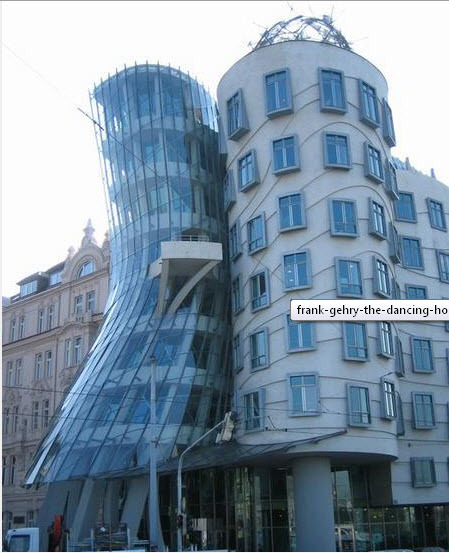 Now we are looking at the dancing house in Prague, also referred to as "Fred and Ginger". 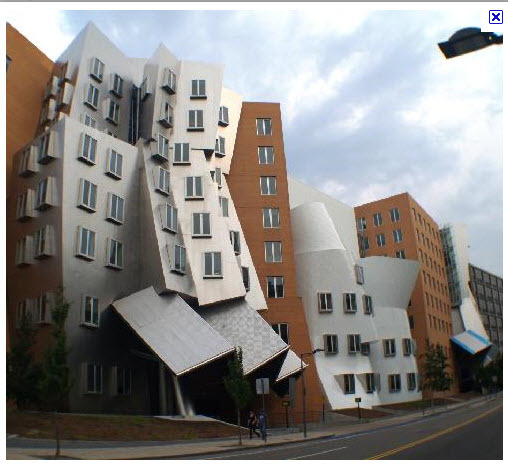 The type of architecture we are looking at is called "Deconstructivism", or "Decon". 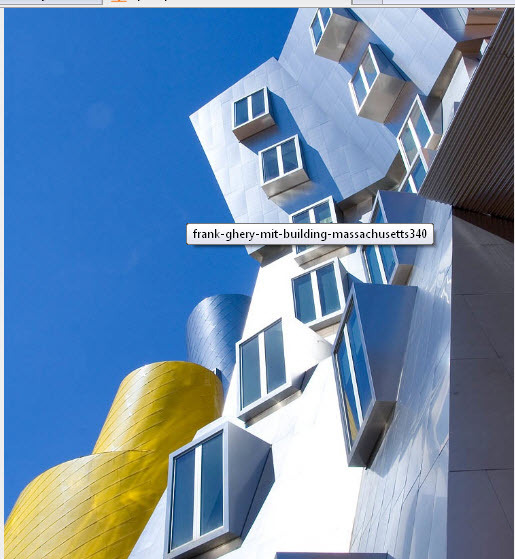 It is called Decon because it goes beyond current modalities of structural definition and departs from "Modernism" whose belief is "form follows function". Decon is not required to reflect specific social or universal ideas. Because of this the buildings have a sculptural stand alone quality . This philosophy is somewhat controversial to some modernist architects. Ghery was also inspired by fruit crates and has also created a line of furniture. 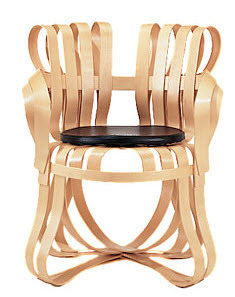 below is an example of one of h is bent wood chairs, I think you'll see the similarity. 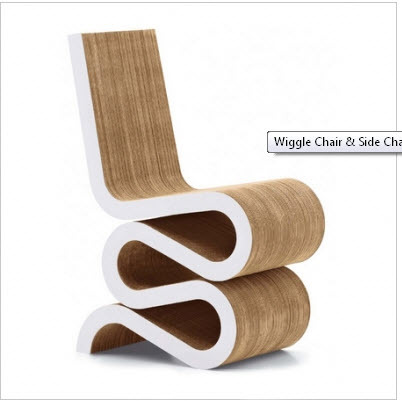 Lastly, here is one of his most playful pieces made of cardboard, called the Wiggle Chair. I have used this in a few interiors. Here is the Wiggle chair in one of my interiors. If you wish to see more of my portfolio as well as older posts, please go to www.merlehillaryinteriors.blogspot.com.